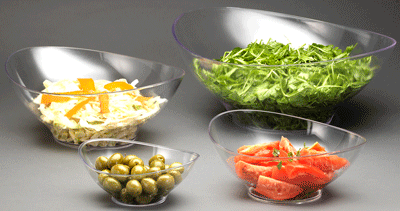 These bowls are representative of our heavy weight sculpted bowls. They are suitable for daily use. They are available in three colors: clear, black or white. Sizes are 1 pint, 1 quart, 2 quarts and 4 quarts. Colors: Clear, Black, White.